Many bright students are interested in joining the prestigious IIT for the Engineering studies. However, it is not at all easy to get admission to any of the IIT as you have to clear two hurdles to reach there. These two hurdles are part of the JEE exam and they are JEE Mains and JEE Advanced. If you want to get admission in NIT then you just have to appear for JEE mains and get a high score. This will be enough for taking admission in other reputed engineering colleges. However if you are going to try to get admission in IIT only, then you have to make sure that you are amongst the top 1.5 lakh candidates who have cleared the JEE mains. This is because only the top scorers are eligible for appearing for JEE Advanced and without clearing JEE Advanced with high scores; you cannot get admission in IIT. 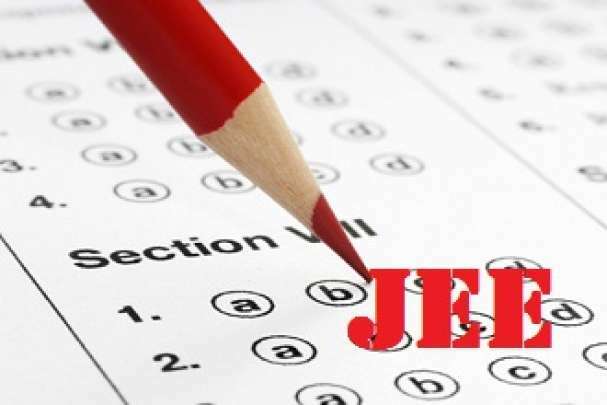 To appear for the JEE Advanced, you have to make sure that you are an eligible candidate for the JEE Advanced. Following are the criteria for eligibility for an appearance in JEE Advanced. It is important that your performance in JEE mains is high because only the top 1.5 candidates are allowed to appear in JEE advanced. If you want to appear for the JEE Advanced in 2016, then you must be born on or before October 1, 1991. For the persons with difficulties and ST, SC candidates, the age limit is different. The students in these categories must be born on or after October 1, 1986, to be eligible for JEE Advanced in 2016. As you must be aware that every candidate gets maximum two attempts at JEE Advanced, so if you want to be eligible for JEE Advanced in 2016, this must be your first attempt or a consecutive second attempt. The candidate must have cleared his standard XII exam in 2014 04 2015. If he is appearing for the XII exam in 2016, then that student is also eligible for appearing at JEE Advanced. If any student has taken admission in IIT or ISM earlier, then such student is not eligible for appearing at JEE Advanced. Even the student who have canceled his admission at any of the above-mentioned institutes, such student is not eligible for JEE Advanced. However, the students who have taken admission to ant preparatory course at IIT are eligible for appearing in JEE Advanced. You have to make sure that you have correct JEE details so that there no problems at the time of exams. You have to know everything about JEE before you start preparing for it. JEE mains is about the capacity of the student of solving problems in limited time but JEE Advances is about the in-depth knowledge of the student about any subject. So you have to prepare for JEE advanced in totally different way than you prepared for JEE mains. You need to study prescribed textbooks and other international textbooks so that you have a better understanding of the subject matter. Joining a Coaching institute which focuses on JEE exam, can also be beneficial for you. You have to make sure that you are studying all the important concepts so that you are able to answer the questions in a better manner. You can also study with the help of various question banks available for JEE students. The score in JEE advanced will decide the direction of your life, so you have to be sincere and dedicated towards your studies.